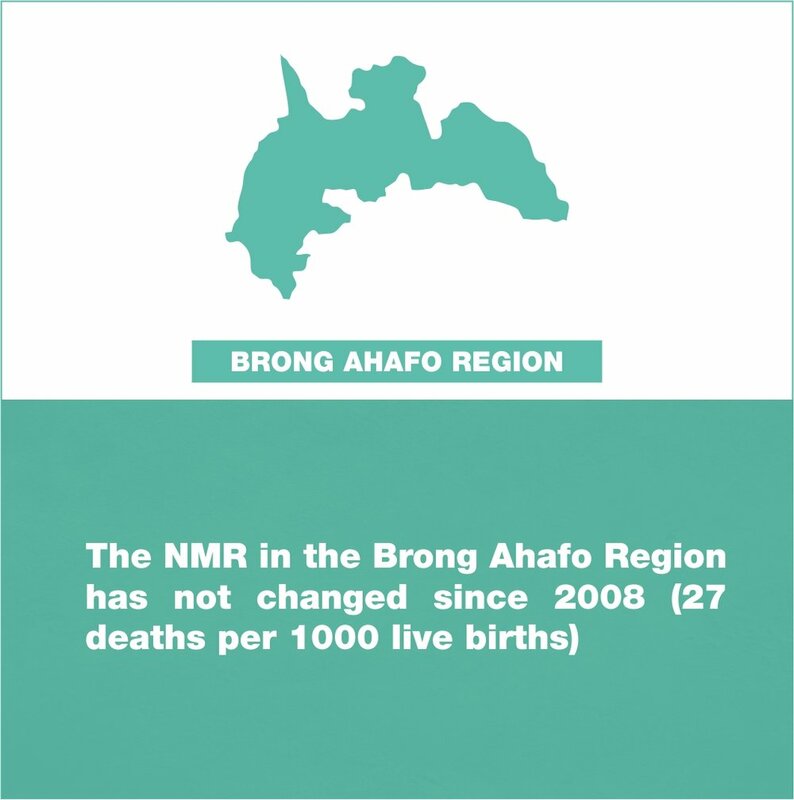 CLCD’s core mission is to conduct research to prevent unnecessary newborn deaths. We focus on the most impactful interventions that target the most vulnerable population. The death of a child causes significant pain to families, so everything needs to be done to prevent unnecessary child deaths. 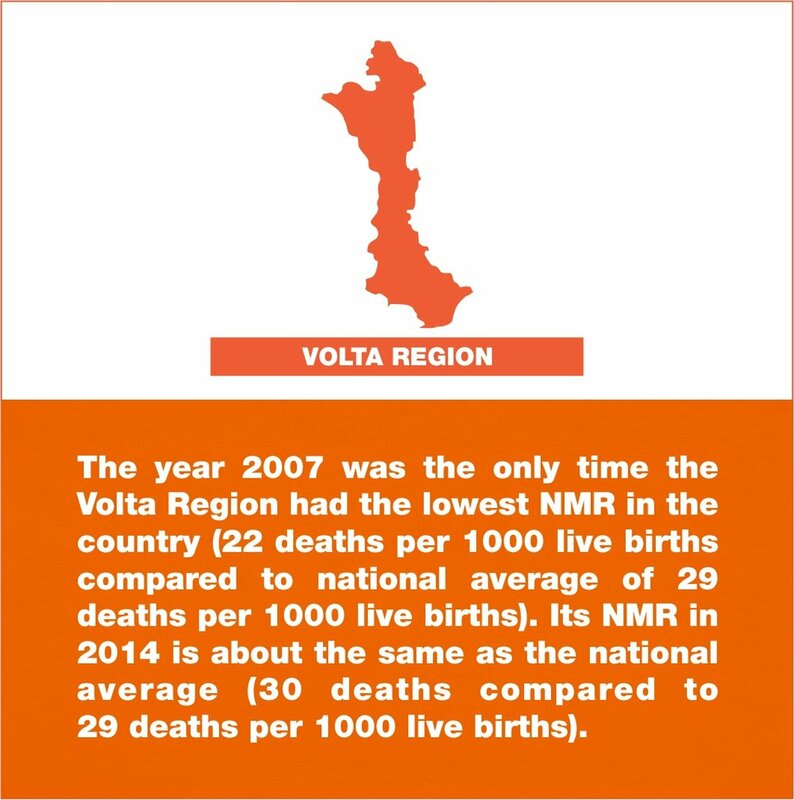 One way to assess how well a county is doing in relation to children's health is to look at their neonatal mortality rate, a health indicator that measures how many children die in a country before their first month of life for every 1,000 that are born alive. 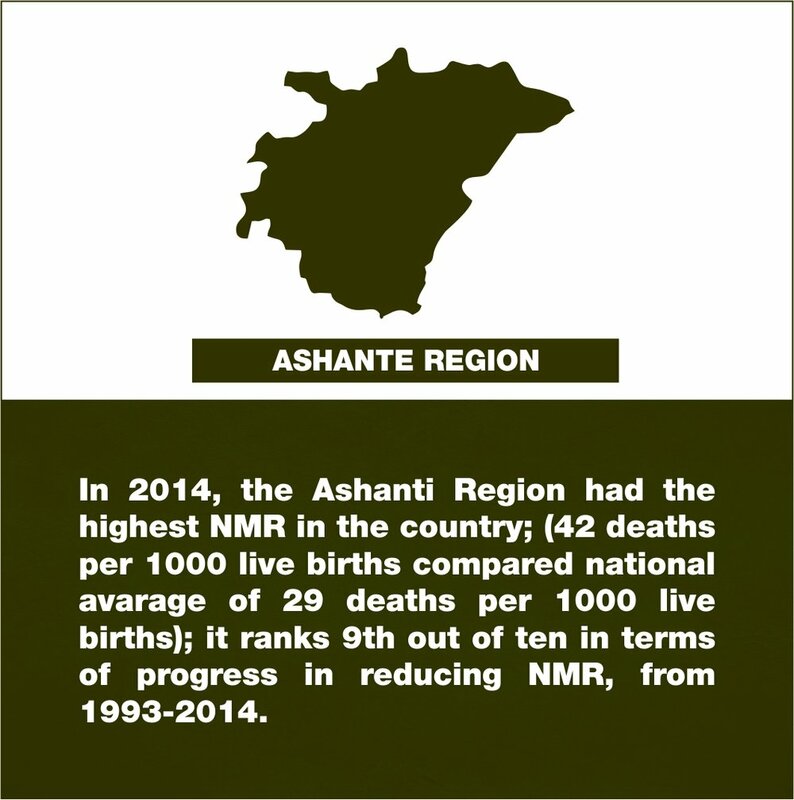 In Ghana, neonatal mortality accounts for about 40% of child deaths in the first five years of life. Currently, for every 1,000 children that are born, 29 of them will die in the first month - that's about 2,000 preventable deaths per year. 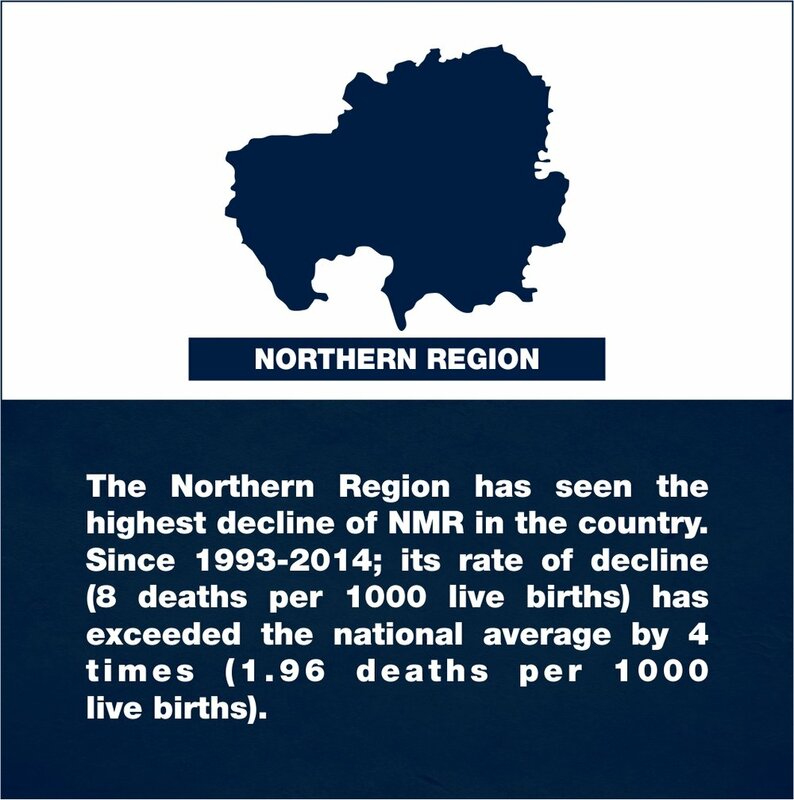 Based on data from the Demographic and Health survey from 1993-2014, we tracked the progress of each region in reducing neonatal mortality. 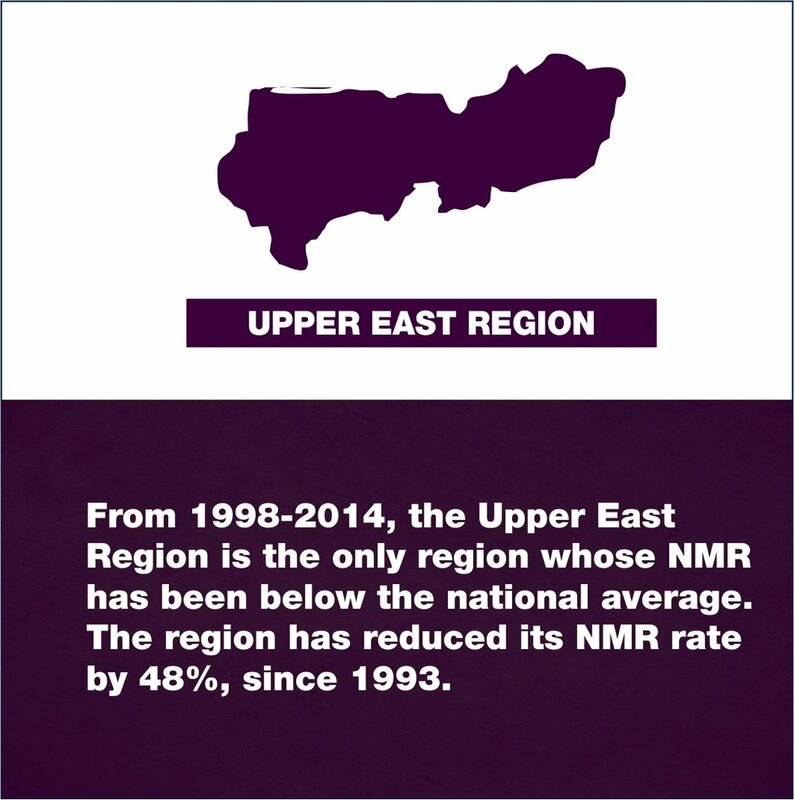 We also ranked them based on how change has occurred in each region, by examining the average change per year.